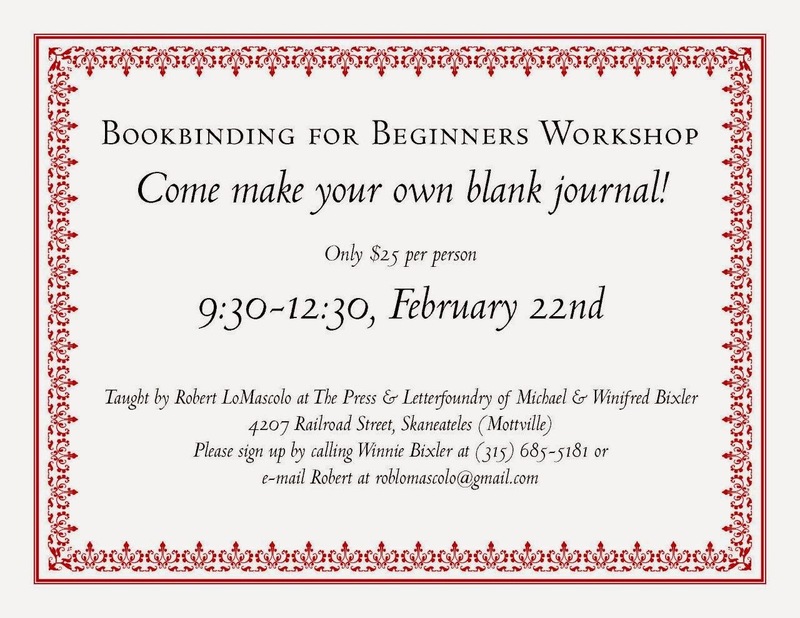 The Press of Robert LoMascolo: Mark your Calendars for February 22nd . . .
Mark your Calendars for February 22nd . . . Rob will be offering a bookbinding workshop on February 22nd at The Press & Letterfoundry of Michael & Winifred Bixler in Skaneateles, New York. Please contact us to sign up.